Fascinating stories about thirty-four events that helped make Colorado what it is today. 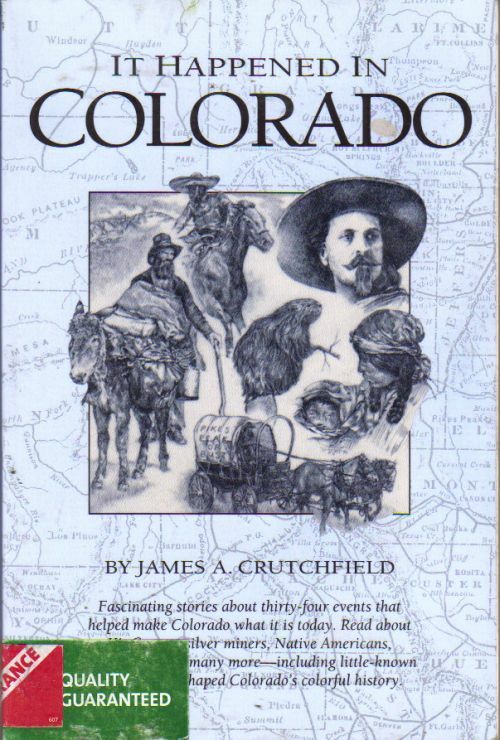 Read about Kit Carson, silver miners, Native Americans, Jesse James, and many more, including little-known episodes that shaped Colorado's colorful history. 1993 paperback. Has several stickers on the spine and one on the back. Some dirt to page ends, but pages are clean and unmarked with a sound binding.